What’s the best strategy and studying methods to score in the top 1%? Have you planned out all of your standardized testing dates for the SAT & ACT? Join us for an informative afternoon as one of our expert consultants, help you plan, strategize, and create a test preparation timetable that suits your busy academic schedule. 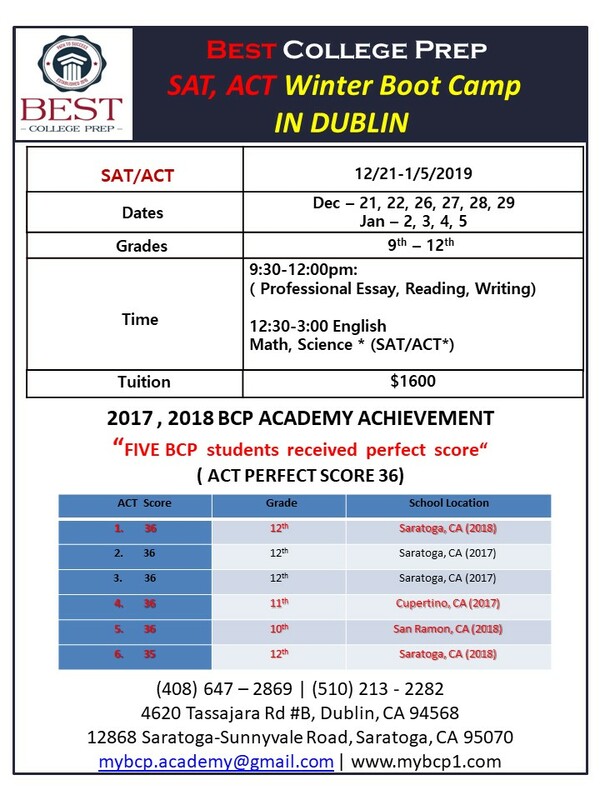 Our consultants have consistently helped students score in the top 1% and has been a rock-star in guiding students through the standardized testing process. I’m glad to announce that this is going to be our 9th year teaching 2nd to 12th grade students and guiding them through thought- provoking problems, puzzles and brain teasers which eventually strengthen their mathematical and logical thinking vocabulary knowledge. The engaging highly interactive enrichment session promotes the development of figural-spatial, verbal, visual, analytical and deductive thinking necessary for qualifying any competitive test. Contact me at 925-828-8168 and we can talk in details. Referrals are available to speak about tons of success stories. 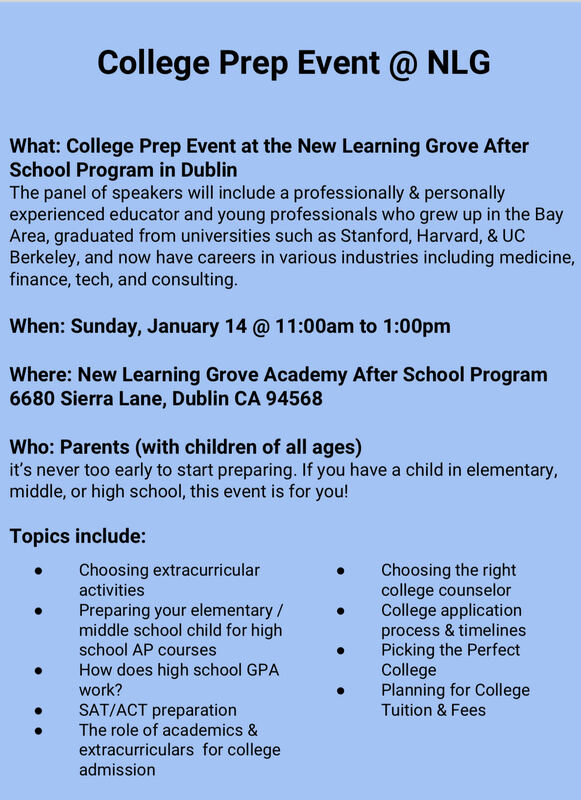 At SK Education Consulting Group Inc., we take a different approach to College Admissions. It is about the student and our process is based on this unique mindset. With our 1:1 sessions with our students we are able to take this difficult and stressful time and turn it into a time of excitement and introspection. We work with students from all backgrounds and academic achievements and have the results to prove our success. If you would like to schedule a consultation with our expert team, please feel free to contact us via phone or email. We look forward to working with you to produce the best results for your student! 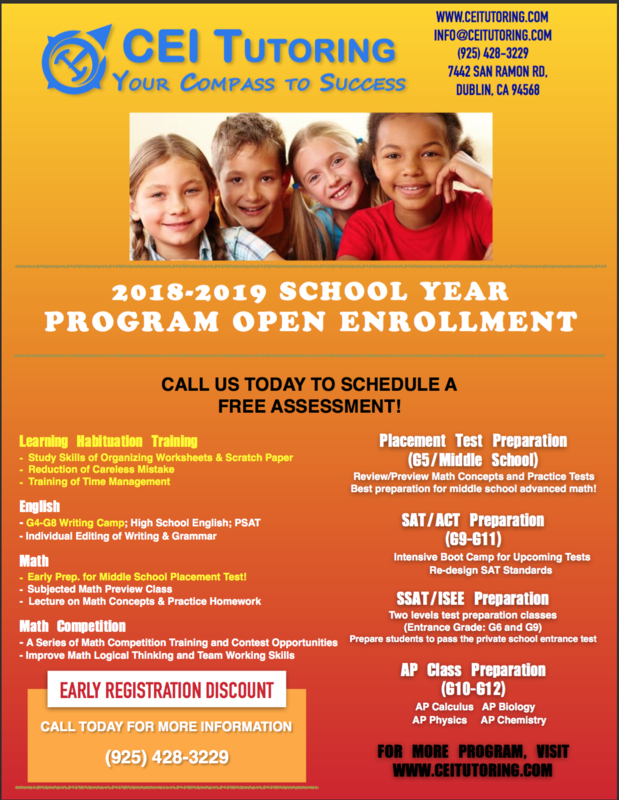 Daffodils Learning Center has opened enrollment especially for 5th graders for upcoming Math Advancement Test at Middle School in 2016. Located in Windemere, Daffodils tutoring is individualized to your child’s needs and abilities. The highly enthusiastic and experienced provider Soma Gomes always dedicates herself in providing unique learning methods and tools not only to follow the current school curriculum but also to challenge the young learner to go above and beyond. Your child will learn with enthusiasm and gain confidence within a very short time. Her continuous encouragement, positive attitude and updated learning tools guarantees an overall improvement in your child’s aptitude. 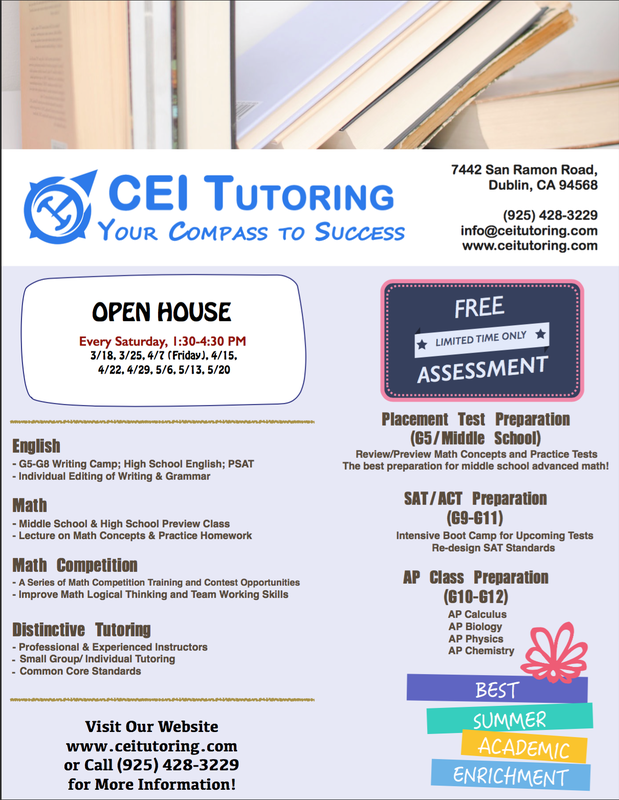 Hi, I am offering SAT Math tutoring – One on One lessons in San Ramon, CA. 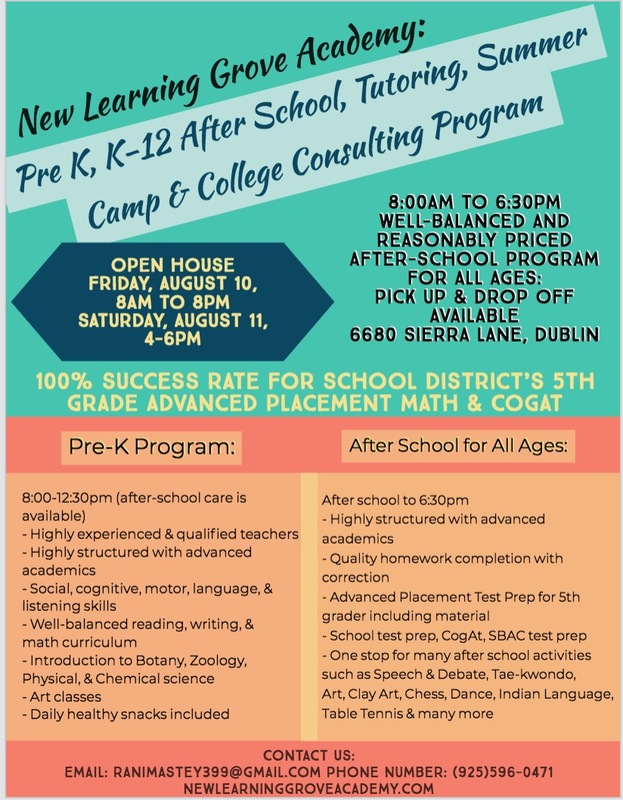 I have over 12 years experience teaching Math (including SAT Math/ PSAT Math) in the tricity area of Fremont/Newark & Union City). I recently moved to San Ramon, CA AND I am located across Live Oak Elementary school in San Ramon (Windemere area). Students must come to my location. Week day evenings & Sunday schedules available. Please call me at 408 318 5968 if you would like more details.